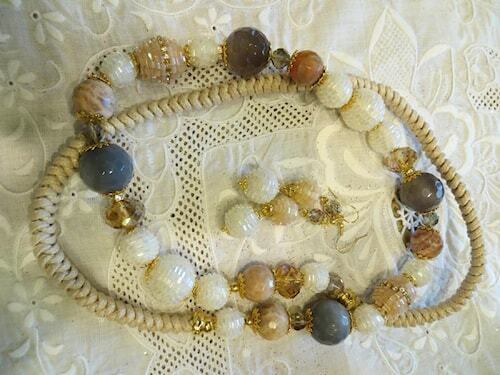 Ivory, Peach and Grey Beaded Necklace. 36" around. Soft tones can enhance many outfits. 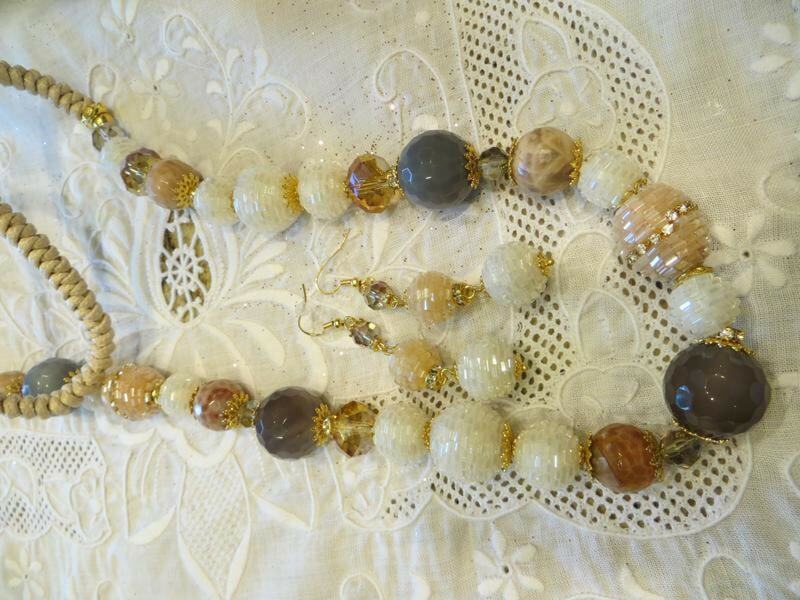 Comes with 3 bead dangle earring. Rope-like texture piece goes around neck or under collar for comfort. Quite pretty for a subtle look.